Ronnie Barkan is Human Rights Activist, conscientious objector and co-founder of Boycott from Within Israel, he will explain the strategy of the BDS Movement in Israel, specially the Boycott From Within. Nabila Irshaid is Social Artist and initiator of Summeracademy Ramallah, she will show videos and describe the power of creativity and humor in political causes. You are warmly welcome to join our talk! What´s going on at HOME ? 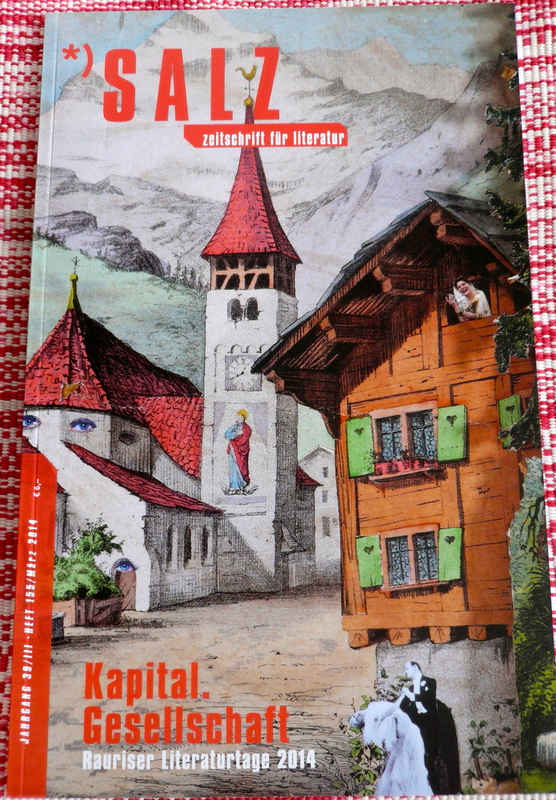 SALZ – a quarterly magazin of fine literature published some of my works for their edition in April 2014. 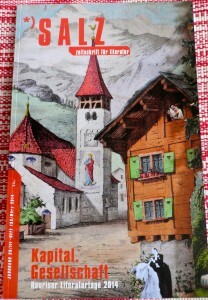 Reporting about: Kapital.Gesellschaft / Assets.Society at Literaturtage Rauris, Austria.